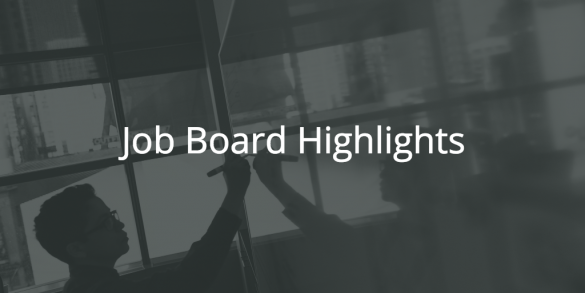 Here are the best blog writing jobs – and more – from our Job Board. Postali LLC is expanding its writing development team. They are a marketing agency that works exclusively with lawyers on a national level to help grow their practices and dominate their particular areas of law. They provide marketing services to lawyers, which include direct mail, web design, search engine optimization and marketing, and support services which help their practice manage their growth. They are in need of a long-term contract writer who will work on a variety of writing assignments. Bloomberg News seeks a freelance writer/producer for its TV network in New York. Individuals are responsible for writing and producing news and business briefs. Candidate must be able to make quick decisions in a real-time news environment and thrive under pressure. The position demands a strong knowledge of business and financial themes combined with the ability to explain complex material in simple terms. Flexibility with hours is essential. Action Potential Learning is seeking part-time curriculum writers to support their mission of improving every student through professional development support they provide to individuals and schools. Care2 is a network of more than 50 million people dedicated to building a better world. People visit Care2 Causes for inspiring stories, activist opportunities and fact-based news analysis. Care2 Causes is seeking bloggers for the following categories: Animal Rights, Politics, Reproductive Rights. Bustle Digital Group is seeking a part-time, remote Fashion & Lifestyle Commerce Writer to create affiliate content across their digital properties (Bustle, Elite Daily, Romper, The Zoe Report) 2-3 full days per week. Applicants should be passionate about products — especially those found on Amazon! — and have a deep understanding of how to write about them quickly, cleanly, and with great authority. Editor of Splashpress Media, writer, and geek bitten by the travel bug.